These themes are perfect choices for all Users & Customers Experience. You can save tons of time when looking for a responsive, mobile-friendly & suitable SEO & conversion Rate. And choosing a good WooCommerce WordPress theme is your perfect gateway to launch successful Online Store. 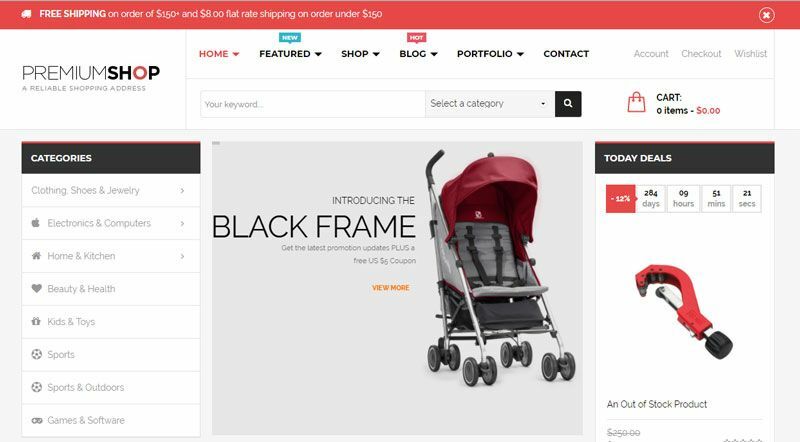 So you can choose suitable WooCommerce WordPress Theme for your Furniture Store, Fashion, Electronics, Baby Store, etc. Let’s spend your time to discovering our best WooCommerce WordPress Themes 2018 with beautiful Homepages, Easy Customization, Ease to Use, user-friendly and mobile optimized & high Conversion rate or RTL Languages also. 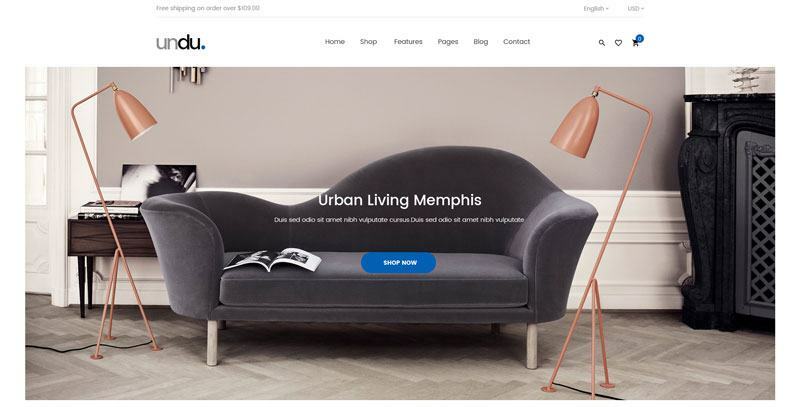 Undu – Furniture WooCommerce WordPress Theme is one of best WooCommerce WordPress Themes 2018 is a suitable for you who want to create website for online shop, furniture shop, portfolio and any kind of websites. The great theme featured with 14 homepage layouts – fully responsive design, unlimited color styles, powerful Megamenu, multiple shop layouts, variable blog formats. The second WooCommerce WordPress Themes 2018 in this collection is Smitech. Perfect Multipurpose WordPress Theme for Online Shop. It is an useful tools for all customers, no matter who you are. Developers, Agents or Freelancers can use this theme easily. This best Digital WordPress Theme comes with 05+ Stunning Homepages, ease to use and installation. With 1 Click Installation Import, you can save time effectively on installing Demo quickly. Moreover, Smitech is well supported Multilingual & RTL Languages and built with the fastest page builder – King Composer. It is also impressive with Megamenu Supported, Multiple Product Layouts, Shop Layouts, Breadcrumb, Blog Pages & well- optimized for SEO, highly conversion rate optimization and Ease of Customize. Next, best WooCommerce WordPress Theme 2018 is Exgym. It will be a smart choice to building for any Fitness Center, Sports, Gym & Fitness, Yoga studio websites, Fitness classes, Yoga meditation, Gym, Dance and Dancing class, etc..
At the first sight, customers will be impressed with tons of beautiful designs. 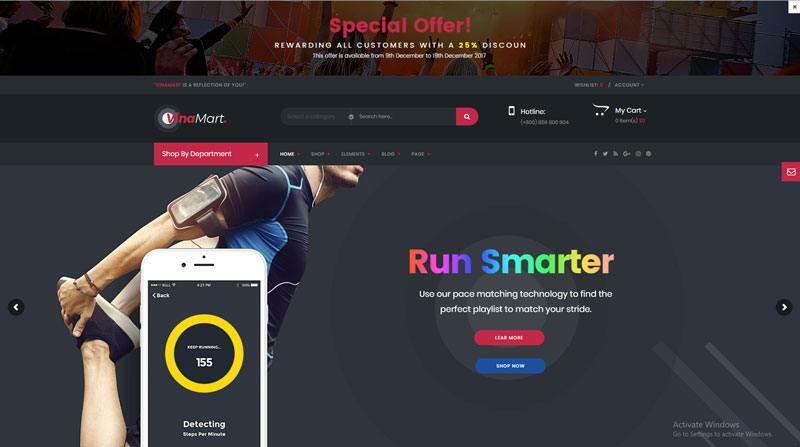 That is a great combination between flat designs and stunning image, color, simple layouts, which help EXGym enhance traffic and better customers shopping experience on your Store. 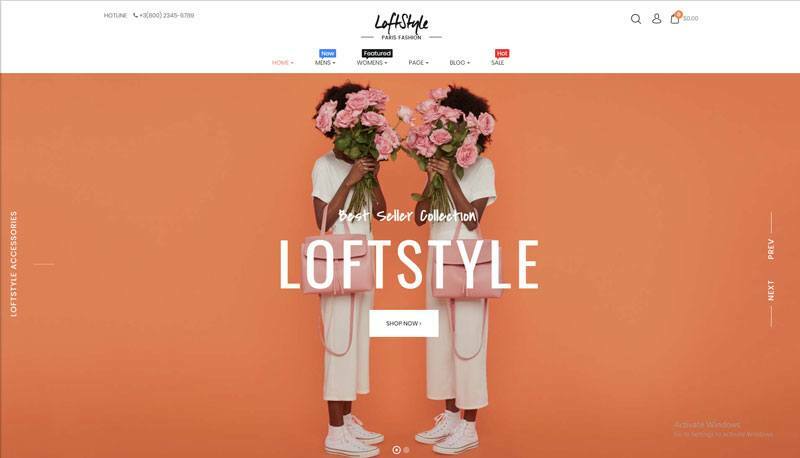 Being an ideal Fashion Responsive WordPress Theme- Loftstyle is dessign to meets with any your eCommerce needs such as Fashion, Accessories, Beauty, Technology, Healthy & Pharmacy and other multipurpose stores. Loftstyle is well coded to be 100% responsive on all devices and work flawlessly on any browsers. The excellent Blink Sport WordPress Theme is completely Responsive & Retina Design, Ux SEO Friendly, Flexible Theme Setting, Unlimited Color Options, Mobile Optimized, Highly Conversion Rate Optimization and Unlimited Customize. Blinksport is outstanding with 4 Unique Homepages Demos and a lot of inner detailed pages. The theme is also well structured and clean code ensures a smooth user experience for all visitors. Completely fully responsive and Retina ready, which will be a great plus for your business. This excellent theme is impressive with 06+ homepage layouts and detailed inners pages, Multiple Shop Layouts, Single Product Layouts which is so ideal for you to build up a professional online store and eye-catching. GoodHood is an elegant and flexible theme with the latest design trend and user-friendly functionalities. 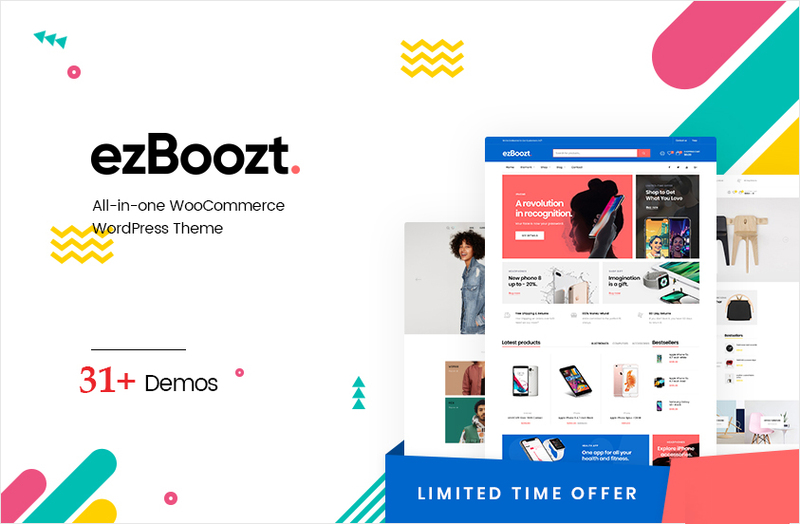 This theme is perfect for you to build up any WooCommerce WordPress Theme, handmade, beauty, cosmetic, fashion, food, furniture, toys, auto, tools, lingerie, book, and kids. Besides, Goodhood is equipped enough essential functions and outstanding features for you to control the website as layout, colors and content. It is completely optimized for Speed, Search Engine Optimization, Highly Conversion Rate Optimization and Unlimited Customize. 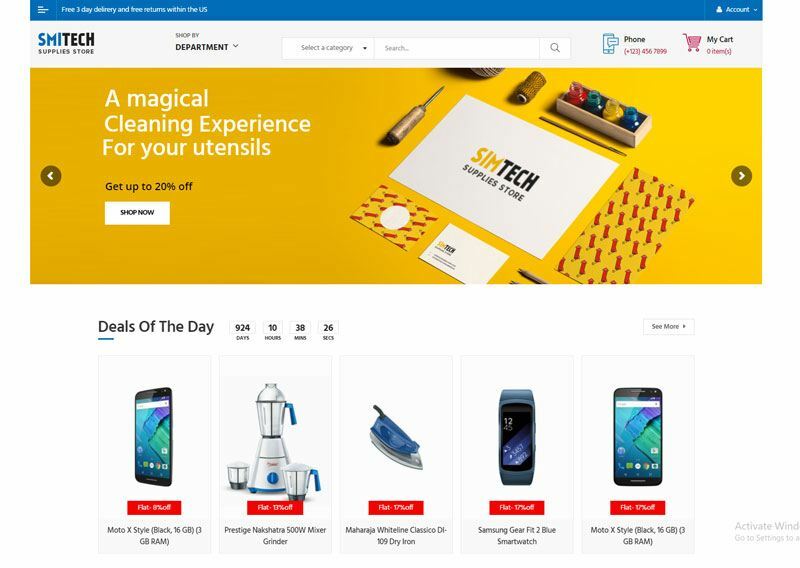 Vinamart Technology WooCommerce Theme will be one of the Top choices for your projects. This awesome theme is designed to satisfy the demands. Customers will be impressed with tons of stunning designs, detail product in combination with unlimited colors and aesthetic layouts. That will enhance the traffic and give customers more fantastic shopping experience on your Store. 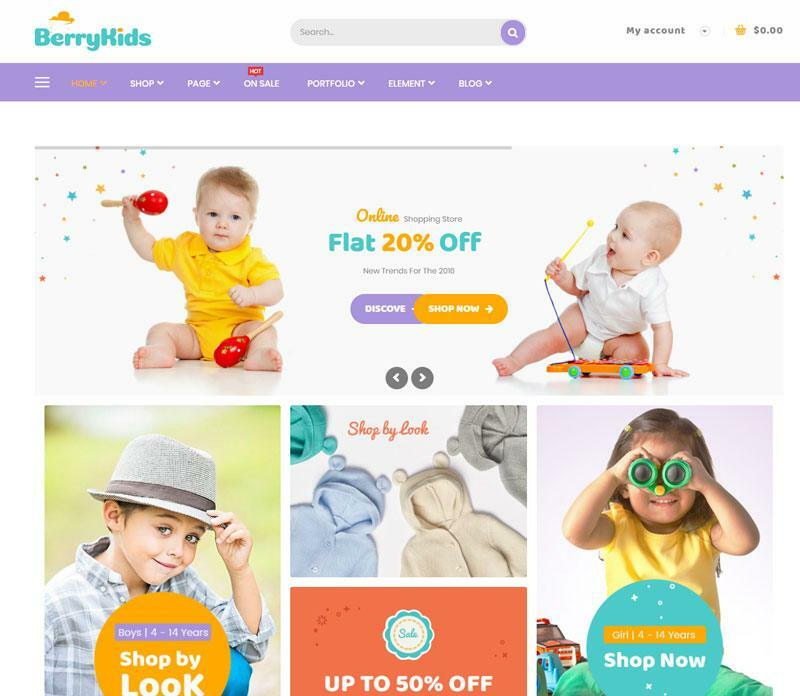 BerryKid is outstanding with 4 specific homepages layouts helping you feel comfortable to choose the best one for your online store. The 1-click installation allows you to build any demo with just 1 click. The Multipurpose WordPress Theme is easy customized based on the intuitive theme control panel that includes lots of useful options to manage your site. Theme is powerful with some key features such as Megamenu, Vertical Megamenu, Grid & List View, Quick View Product, Add to Wishlist, Product Detail, One Click Installation, Ease of Customization. With a elegant and modern design style, Premium has all things you need and take users’ hearts and emotion quickly. You can use this theme to display clothes, shoes, jewelry, electronics or sports for your store. Especially it is compatible with any kinds of devices such as laptop, ipad, smartphone or larger screens. 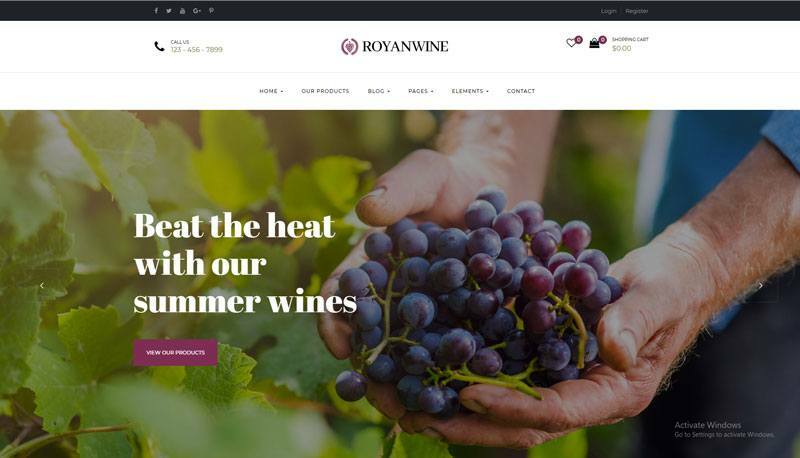 Royan – Wine WooCommerce Theme is a perfect theme for you to sell all sorts of products like wineries, wine shops & bars, pubs, online wine sales, breweries, vineyards. With 2 creative homepages, you can flexibly create a friendly view at the first look for your customers. Final best WooCommerce WordPress Theme in 2018 is Strollik. 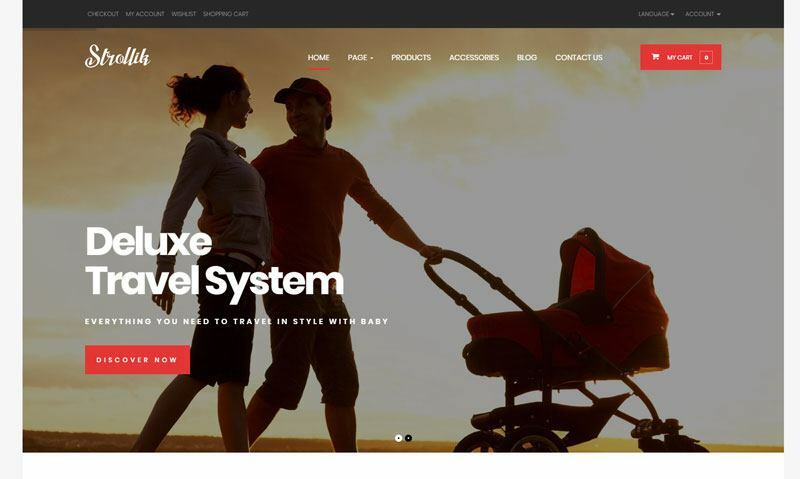 Dedicated eCommerce WordPress theme to sell one product based on WooCommerce with 10+ unique pre-built homepages including Strollik, Coffee maker, eShaver, Watch, Slim Wallet, Energy drink, Eskateboard, Smartglasses, Dronik, Ebag… Our demo site is built for an eCommerce site to sell Deluxe Travel System, you can use it to sell other single product (or product line). The theme includes incredible design concepts to show off your product the smartest way. The 360 Product View transforms your passive product display into an interactive engaging shopping display to view your product in 360. 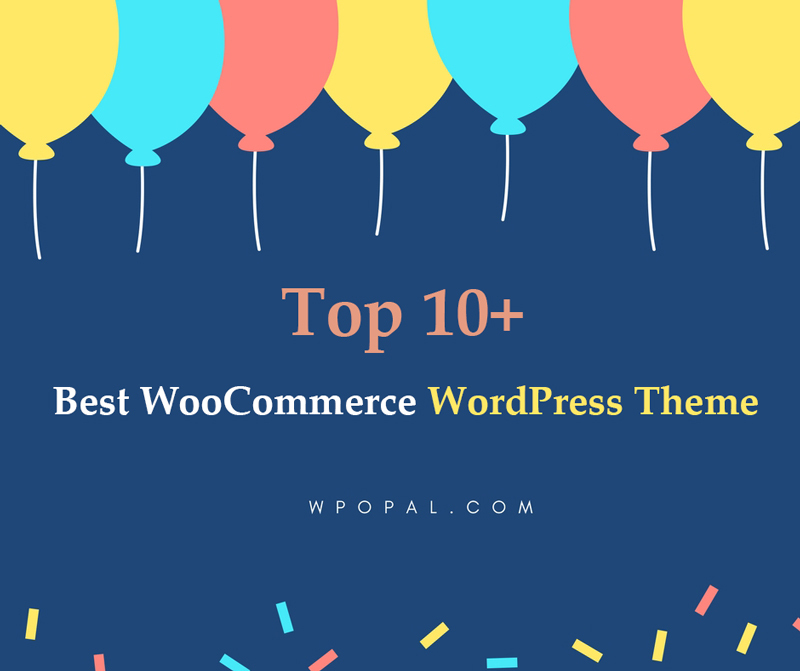 Hope that our Blog “10+ Best WooCommerce WordPress Themes 2018″ – Wpopal will help you choose a suitable theme for your store.